Boxing is one of the oldest and most effective combat sports. Basic footwork, head movement and punch mechanics are the foundation of the art. Boxing can be traced back all the way to Ancient Greece and is now in the Olympics and has it's own world championships. 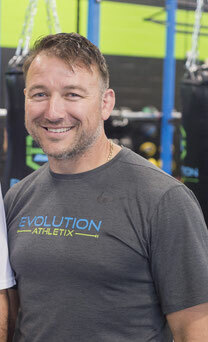 Boxing at Evolution Athletix is a fun, safe environment for people of all skill levels. Our focus is on perfecting the fundamentals and providing an excellent workout. 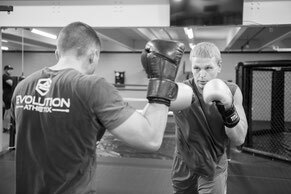 We also have the necessary tools and coaches for anyone looking to compete as an amateur boxer.